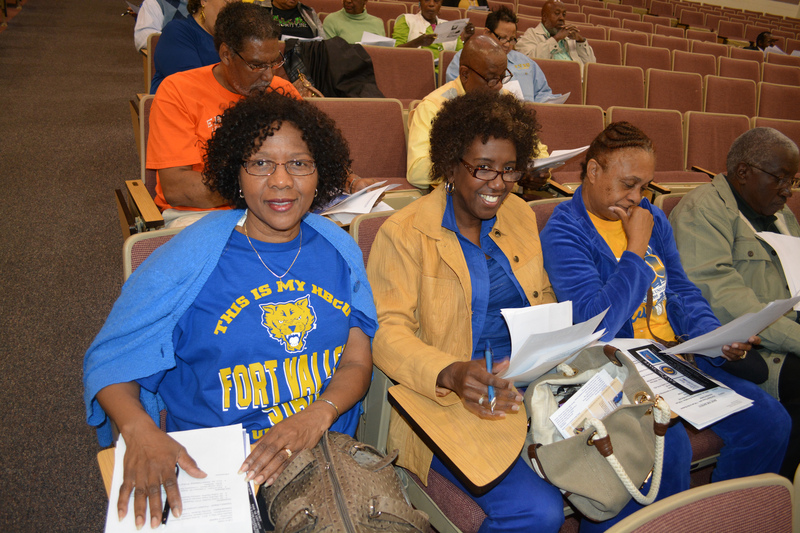 April 2, 2015- A new Fort Valley State University summer academy will provide Wildcat alums an opportunity to learn strategies and information vital to becoming better advocates for the university in their local communities. The FVSU Alumni Development Academy will be an intense three-day event being hosted on campus from July 8-11 and will feature training sessions on the university’s academic offerings and program, research extension, athletics and details on FVSU not only retaining students, but graduating them as well. It is being spearheaded by FVSU’s Career and Alumni Services. Ed Boston, FVSU’s senior director of the Office of Career and Alumni Services, said he was inspired to organize the event while attending the alumni biennial conference last year in Savannah, Georgia. Boston said the academy will include a full-immersion experience, including staying in the residence halls and eating in the food center with students. By allowing Wildcat alums to return to campus and relive the FVSU experience, Boston said they will be able to really understand and appreciate future plans for the university. “They will have the chance to reconnect with their fellow alums, while having the opportunity to learn in-depth information about FVSU,” Boston said. The scheduled activities for the academy include campus check-in on July 8, 10 a.m. until 4 p.m., followed by an opening convocation and dinner. Classes will be held from July 9-11 on campus. “I expect the event to be a lot of fun, highly interactive, engaging and impactful with short and long term benefits for our campus,” said Boston. For details, contact Boston at (478) 825-6347 or bostone@fvsu.edu.